So you can cook and you want to start a business. You know that you need a commercial kitchen. Maybe you have run a business before...maybe not. It's OK...We've got you covered. Being an entrepreneur is hard work and figuring out how to build a company while you run it is even harder. That is where Frontier Kitchen comes in...we are here to help you build the a sustainable, viable company that will grow well into the future. Frontier Kitchen is a business incubator for the culinary world--we provide great facilities, but the less tangible business items are just as important. We have the expertise you need in understanding proper certifications, assistance with finding customers and help finding business training you need to succeed. We offer established networks of professional support personal and staff with decades of combined experience in business and the food industry...we have the expertise to help your company succeed. And we don't require a piece of your company to help you. Frontier Kitchen does not make food--we leave that to you. We offer top notch facilities and the expertise to help you build and grow your business. 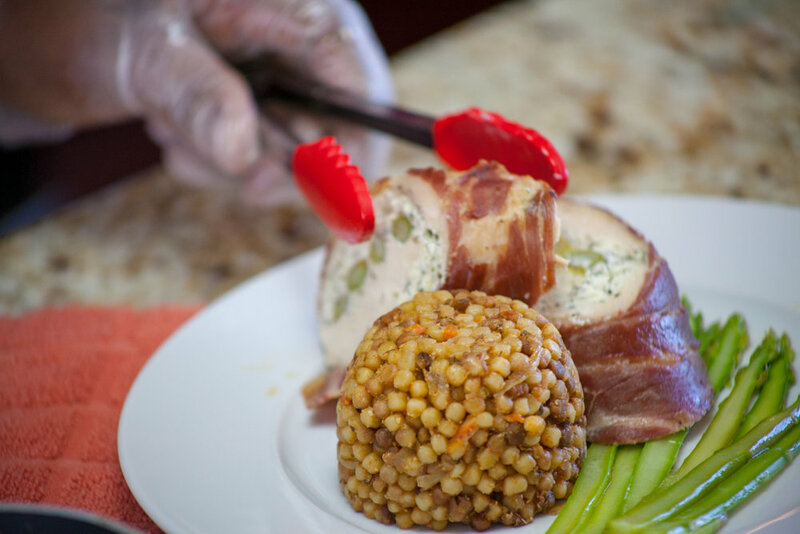 Our caterers are food artists working with a variety of mediums--vegetables, chicken, meat and spices. Frontier Kitchen has what you need to be that artist. Would you like to be one of our artists? Click here. Perfect pies. Colossal Cakes. Cutest Cupcakes. Delicious Danish. Are you ready to join our tremendous team? Our bakers excel at from-scratch, fresh recipes. Would you like to be one of our bakers? Click here. Most food trucks cook on the truck, but they need a depot--somewhere safe to clean, sanitize and keep food. In addition to being a health department requirement, Food Trucks who reliably use a depot are known to be cleaner and safer to buy from for your customers. Also, you can order your supplies from the least expensive wholesalers and allow FK staff to take your deliveries while you are working. So you are making money and we are saving you from running around town. .
Do you think your idea belongs on every grocery store shelf? Whether your specialty is jerky, nuts, juice or your grandma's secret cookie recipe, we offer what you need to produce your products for sale. Have custom equipment? We have room in our kitchens for you to bring in your own, too. Businesses may start small but with work, dedication and passion they grow. We are here for serious entrepreneurs who are ready to put in that work and passion, even if you start small. We have the basic equipment for everyone making food; tables, mixers, large ovens, stoves, and even an indoor grill. We provide all the big basics--pots, pans, equipment, carts. You bring your small wares and equipment specific to your needs. Full-time: you are really serious and ready to dedicate to your business 100%. You have 24/7 access to the kitchen. You need minimal assistance or training in managing your business but need to produce. A lot. You’ve got this. Part-time: business is growing, and you have no problem being a night owl. You can use some leads but you have a good plan and implementation is taking hold. You come in to work 6pm-7am M-F and/or all day Saturday and Sunday. Food Truck: Just need the depot services (parking and cleaning) and a bit of storage (2 shelves included) with everything else covered on the truck. Manufacturer: You make a special food product and have all the equipment you need, but you need a commercial kitchen to make it in. Our membership rates are designed to best fit your company's needs. Prices start at $550 per month. Our application process is simple; we want to meet you and ensure our relationship can be profitable for both of us. We provide a tour and free consultation with our business experts. Contact us today to find out more. Our facilities are designed to provide what you need for your business to grow. We supply equipment, pots, pans and storage space. Also, with our unlimited hours you can be assured that the more you work, the more you earn without fluctuating overhead for your new company. 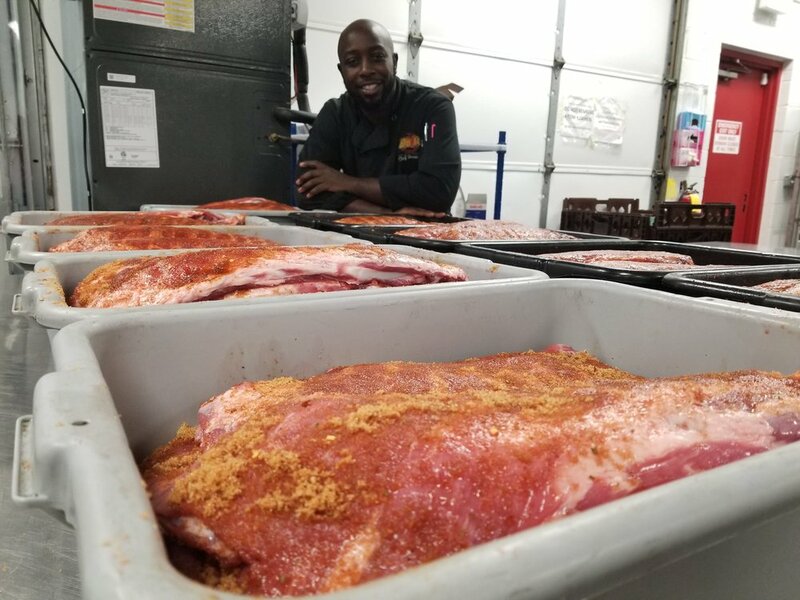 Frontier Kitchen is growing throughout Northern Virginia and has two locations to serve you. Our Haymarket location serves the I-66 corridor and has huge production and cold storage capabilities. Situated in a 1930s era converted school, the location has charm and is a fixture in the community. This 3100 sq ft kitchen has been renovated with state-of-art ovens, mixers, and much, much more. Our Lorton location is perfect for anyone along the I-95 corridor. Built in 2015 with new equipment and state of the art venting systems, and expanded in 2016 for 4600 sq ft of additional storage and office space! If you haven't been to see us in a while, come check out our 800 sq ft refrigerator! If you are looking to tap into the Northern Virginia and DC markets, it is ideally located 20 minutes from DC, just south of the Beltway, sits right next to Ft. Belvior with easy access to Alexandria, Arlington, Fairfax and locations south.